Provide comfort for the family of William McCulloch with a meaningful gesture of sympathy. 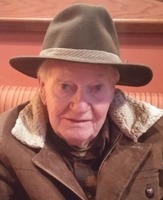 On Monday, April 8th William (Bill) McCulloch, in his 86th year, peacefully passed away surrounded by his loving family at his home in Westport. Bill will be fondly remembered for his love of his family. 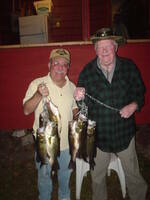 He was happiest when he was in the outdoors, hunting and fishing with family and friends. 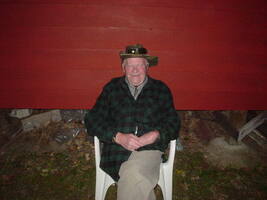 He enjoyed spending time as a member of the Westport Lions Club and as an avid collector of decoys and antiques. Bill will be remembered as an incredibly gracious individual who was loved and respected by all who knew him. In 2011, Bill was predeceased by his wife of 57 years, Anna (Shillington) McCulloch. He will be greatly missed by his children Beth Leadbeater (Allan - pre-deceased), Joel McCulloch (Ruth), Barbara McCulloch, George McCulloch (Dana), Pamela Branscombe (Todd), Suzanne McCulloch, 17 grandchildren, 17 great grandchildren and sister-in-law Elaine (Bruce) Riman and sons. Visitation will be held at LYONS FUNERAL HOME in Westport on Wednesday, April 10th from 6-9 p.m. The Funeral Service will be held at Knox Presbyterian Church on Thursday, April 11th at 11a.m. Donations can be made to Westport Lion's Mobility Van or a charity of your choice in memory of Bill. To send flowers in memory of William "Bill" McCulloch, please visit our Heartfelt Sympathies Store. Carol, Clay, Lisa and Chad Branscombe and Elaine Riman have sent flowers to the family of William "Bill" McCulloch. Had many great visits with Bill while lounging in the living room/office/lobby at Greenshingles. A good man who will be truly missed. My family and I had the good fortune of spending many years holidaying at the Green Shingles Lodge. Bill and Anna were so welcoming. Thanks to them, We now have many gentle, happy, and blissful memories. Bill will be missed. Keeping his family and friends in our thoughts during this difficult time.